Do you take pride in delivering an awesome experience for customers? Are you a team-player & a great communicator? Do you want to join a rapidly growing team & help build the foundation of the greatest service organization in insurance? 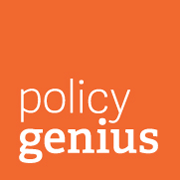 Then come join the Policygenius team! This role is on the front lines of the Policygenius customer experience: managing all inbound & outbound leads for prospective life insurance customers & ensuring they get the coverage they need (and feel good about the process)!